Just a guy who loves books. Having heard a lot about the Wild Cards series, and being edited by my favorite author, I just had to pick up Inside Straight, the 18th Wild Card book. Wilds Cards is a shared-universe series that was created and edited since 1987 by George R.R. Martin and Melinda Snodgrass. It tells the history of the world since the disruption of the alien wild card virus and the heroes that emerged from the chaos. Inside Straight is the new generation of the Wild Card series and begins appropriately with the second generation of aces and jokers. The book begins with the Caliph, ruler of several Arabic nations, being murdered, allegedly by Joker terrorists. This causes a crackdown and genocide of Jokers in Egypt by Arab extremists vowing revenge. In America, the second plotline follows the development of the newest and most popular reality show to date: American Hero. All contestants are aces who will compete to win a million dollar prize as well as for the title of “Hero”. At first separate, the two storylines intertwine as contestants become determined to make a difference. While I was excited to be reading my first Wild Cards book, I was a little worried by the setting of the reality show. Personally, I hate reality shows because of the politics and backstabbing that has become a mainstay of such programs. Such a backdrop certainly created intense character moments, especially as it is a complete contradiction to the concept of a hero. Indeed, many of the contestants leave the show for precisely this reason. Inside Straight reads more like a mosaic novel than a collection of short stories as Martin did a hell of a job editing to ensure that the stories ran seamlessly and correctly. Character development is very well handled and the reader is treated to in-depth look at several characters providing for a wide perspective on events. I loved reading about the aces and their powers. Their powers (and deformities) are so much more varied and richly imagined than a typical comic book. The only real drawback was that the book sometimes bordered on cheesy, but thankfully managed to avoid it. I enjoyed how the characters had to find their own definitions of the word hero. Highly recommended. Other reviews can be found at OF Blog of the Fallen and Pat’s Fantasy Hotlist. Also check out the Wild Cards website at http://www.wildcardsbooks.com/. In a distant future where the Chinese have seized control of the world and colonised the stars, a disgraced naval captain and a commando who knows secrets he should never have learned are picked to lead a suicide mission. Piloting a salvaged Mexica spacecraft to Xolotl, the asteroid stronghold of their enemies, they are armed with enough explosives to reduce the Mexica base to dust. But when they arrive to find dozens of Chinese prisoners destined to be used as human sacrifices, their suicide mission suddenly becomes a rescue operation. This is a clash of empires old and new. Terry Goodkind’s Confessor is bumped up two spots to number 19 in its tenth week on the charts. United States, Europe, Canada. Drew Karpyshyn’s Darth Bane: Rule of Two finishes its fourth week at number 20 and down three. United States, Europe, Canada. Robin Hobb’s Renegade’s Magic is at number 33 after falling seven ranks in its second week. Will it last another week? United States, Europe, Canada. Patricia Briggs’ Iron Kissed is down five positions in week five to hit number 8. United States, Europe, Canada. Cormac McCarthy’s The Road maintains is previous rank at number 8 at the end of its 20th week. United States, Europe, Canada. The mass-market paperback of Richard Matheson’s I Am Legend rounds out its twelfth week, slipping two points to number 9. United States, Europe, Canada. The paperback of Richard Matheson’s I Am Legend drops five spots to number 15 in week ten. United States, Europe, Canada. Max Brooks’ World War Z holds steady at number 21 in its twelfth week on the charts. United States, Europe, Canada. David Weber’s Off Armageddon Reef is also unchanged from the previous at number 26 in week two. United States, Europe, Canada. Margaret Weis and Tracy Hickman’s Dragons of the Highlord Skies makes its debut on the New York Times bestseller list at number 27. United States, Europe, Canada. Carrie Vaughn’s Kitty and the Silver Bullet falls ten whole ranks at the end of its fourth week to number 34. United States, Europe, Canada. 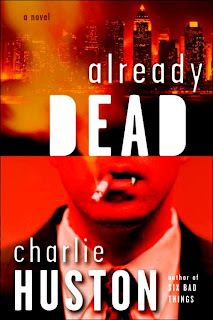 In the second Joe Pitt novel, Joe hasn’t had a decent job in months, the result of the fallout in Already Dead. Then he witnesses first hand the effect of a new drug circulating among the new vampyres, a drug so powerful it can cause a vampyre to freak out. Joe doesn’t like such open questions, or running low on money and blood, so he takes a job with the local clan to follow the drug to the source. The trail takes him on the subway clear across Coalition territory to the Hood where he finds the answers he seeks as well as a lot more. Power is being flexed, strings are being pulled, and Joe Pitt must finally choose a side or face the rising sun. One thing I failed to adequately mention in my review of Already Dead was that Huston has done a superb job building his background and his world of a vampyre New York City. He’s put a lot of thought into the politics and realities of the vampyres. The clans and factions have been very well thought out. I’ve found that thinking of such detail ahead of time is always a sign of a good author. Huston also has a knack for convoluted plots. The plot of the first book was good, albeit nothing earth shattering. In No Dominion, the plot didn’t seem near as convoluted until all the behind-the-scenes machinations were revealed and explained. It was simply staggering. It’s very near the level of the political intrigues of George R. R. Martin’s A Song of Ice and Fire series, which is by far some of the best I’ve ever seen. Another good Joe Pitt novel and definitely recommended. Hopefully, I can get on my hands on the third book soon. I didn’t hear about this author until last December when RedEyedGhost from the ASOIAF message board starting talking about him. Then Amras of A Slight Apocalypse and Graeme of Graeme’s Fantasy Book Review both did reviews raving about how much they loved this series. I love the Dresden Files so I’m always on the lookout for new urban fantasy, particularly about vampires. Joe Pitt is a local tough and occasional unlicensed private investigator in Manhattan. Oh, and he’s also a Vampyre. In the city, vampyres cannot survive unless they align with one of the clans that run the city’s underground, but Joe somehow manages to play the opposing clans and remain independent. His latest case involves tracking down a shambler, a zombie infected with a flesh-eating virus and goes around trying to feed on human brains, and find the source of the disease. He also has to find a runaway teenager for a powerful Manhattan family. He must find the girl and the shambler, fend off the clans, and somehow keep enough blood on hand to keep the Vyrus from taking control; it’s a tough job even for a vampyre. This book reminds me quite a bit of the Dresden Files, if told from the opposite side. It definitely has it’s own style however. 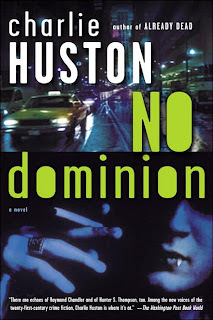 For one thing, Huston’s book is quite a bit grittier, which is to be expected when the protagonist is a member of the city’s underworld. Also, things are not as clear-cut, not as black and white in Pitt’s world. While Joe is definitely a vampyre, he is not “evil” simply because of what he is. The vampyres are more like humans, with their own motivations for their beliefs and actions. I like how Huston makes his vampyres as realistic as possible. Joe tries to survive as a vampyre, while being his own person and keeping a girlfriend to boot. Huston also does a little explaining about the vyrus and how vampyres relate with humans. I certainly hope he expands on this in later books. Only two things really bothered me about this book. Huston often uses terms and locations unique to New York City so I didn’t always understand what he was talking about. The other thing is that I found it hard to suspend my disbelief on how Joe was able to pay for things. It seemed to me he didn’t make enough money to throw money around, have two apartments, and afford a girlfriend. I was surprised by the lack of chapters. Huston makes use of spaces and asterdisks but other than that there aren’t any breaks. The book is short enough so I suppose it doesn’t make any difference. Huston’s style of dialogue wasn’t hard to get used to at all. I enjoyed this book quite a bit and I’ve already picked up the next Pitt novel. Definitely recommended. I first saw this book recommended by Pat Rothfuss on his blog. He said it was a very interesting book so I grabbed it the next time I was in a bookstore. Larry of the OF Blog of the Fallen has done a review of the book as well. Galina, a young woman living with her mother and sister in post-Soviet Moscow, witnesses her sister turning into a jackdaw and fly away. The incident prompts her to join Yakov, a policeman investigating a rash of disappearances. In their search, they discover that every city contains secret places and that Moscow of the chaotic 1990’s is no different. For those who don’t fit in on the surface, the underworld of Moscow is a place of wonder and belonging. However, something is causing the two worlds to mix and Galina and Yakov must join with the various exiled denizens to discover the truth. The Secret History of Moscow clocks in at barely more than three hundred pages and Sedia wastes no time in getting the story started. The plot moves forward fairly quickly, yet I never felt it was rushed. Sedia’s “secret place” is a little bit different than the normal view of the underworld and I like its fascinating mix of death, refuge, and myth. Short segments exploring the history of Moscow intersperse the main story and remind me of Valente’s The Orphan’s Tales, albeit less intricate and more central to the plot. I had very few complaints on this book. The story is extremely condensed; Sedia tells her story and gets out. I might have hoped for a little more of the background and feel of Moscow, but it works quite for the story Sedia is telling. There is nothing particularly original nor surprising about the plot, howver, Sedia does a very good job of telling it and making it interesting. Definitely recommended. In 1946, an alien virus that rewrites human DNA was accidentally unleashed in the skies over New York City. It killed ninety percent of those it infected. Nine percent of those who survived mutated into tragically deformed creatures. And one percent gained superpowers. The Wild Cards shared-universe series, created and edited since 1987 by New York Times #1 bestseller George R. R. Martin along with Melinda Snodgrass, is the tale of the history of the world since then-and of the heroes among that one percent. Originally begun in 1986, long before George R. R. Martin became a household name among fantasy readers, the Wild Cards series earned a reputation among connoisseurs for its smart reimagining of the superhero idea. Now, with Inside Straight, the Wild Cards continuity jumps forward to a new generation of major characters, entirely accessible to Martin's hundreds of thousands of new readers, with all-original stories by Martin himself, along with Daniel Abraham, Michael Cassutt, and Stephen Leigh, among others. Drew Karpyshyn’s Darth Bane: Rule of Two is down five to number 17 in its third week on the list. United States, Europe, Canada. Terry Goodkind’s Confessor finishes its nineth week dropping four to number 21. United States, Europe, Canada. Robin Hobb’s Renegade’s Magic makes it debut on the New York Times bestseller list at number 26. United States, Europe, Canada. Patricia Briggs’ Iron Kissed falls two spots to number 3 at the end of week three. United States, Europe, Canada. The mass-market paperback of Richard Matheson’s I Am Legend slips to number 7 in its eleventh week, down four. United States, Europe, Canada. Cormac McCarthy’s The Road, in it's 19th week and its 41st overall, drops a single point to number 8. United States, Europe, Canada. The Paperback of Richard Matheson’s I Am Legend is down four positions in week eleven to number 10. United States, Europe, Canada. Max Brooks’ World War Z is down three to number 21 but still holding on in its eleventh week on the charts. United States, Europe, Canada. Carrie Vaughn’s Kitty and the Silver Bullet rounds out week three at number 24 and down four. United States, Europe, Canada. David Weber’s Off Armageddon Reef makes its debut on the list at number 26. How did this week's debuts both make 26? Freaky. United States, Europe, Canada. P.L. Elrod’s My Big Fat Supernatural Honeymoon manages to stay on the list for its second week but only barely as it falls two points to number 35. United States, Europe, Canada. Carl Marsalis is a thirteen, a genetically engineered being created by a government program to be super soldiers. He is now a bounty hunter for the UN ordered to hunt down rogue thirteens and capture them dead or alive. After his last assignment leaves him filled with doubts, he lands in Florida prison. Soon however, government agents come to him for help. A rogue thirteen from Mars has crashed a spaceship and is apparently killing people at random. Carl must find him, but he knows that as one thirteen to another, this will be a battle to the death. Well, I pretty much agree with Pat’s Fantasy Hotlist on this one. Gritty, fast-paced, and action-packed, Thirteen is a very enjoyable book that deals with the problems and consequences of genetic engineering. I like how Marsalis constantly struggles to overcome his programming and interact with normal people. The convoluted plot keeps one guessing on what will happen next, and while the ending is not as good as it could have been, I think it was appropriate for the main character. I totally disagree with Del Ray’s decision to change the title of the book from Black Man to Thirteen. While Thirteen may be a more accurate title plot-wise, are we still uncomfortable enough that such a drastic step is necessary? For all that it’s a good book, it does have a few flaws. For one thing, Marsalis always happened to be right. Now I can see how a thirteen’s viewpoint can make for a good detective and that it would be important for tracking down a similar character, but I just don’t buy the idea that Marsalis has a inherent psychological advantage just because of his genes. Granted, a thirteen would have a bit of a different mindset than non-engineered being, but the base code is still human. A keen analytical mind would be able to reach the same conclusions. I also don’t buy Morgan’s depiction of Jesusland. Certainly the capacity is there, but that’s true of any society in history and I feel that Morgan took the Bible belt stereotypes to the extreme. While Morgan seems to have taken the easy way out in some places, the book is quite book good and definitely recommended. "The vision of a bridge probably invokes the feeling of simplicity, a means to go from A to B or vice versa, at time ornate, but more likely, sensible, serviceable, and functional, but bridges in fiction have led us to many memorable moments. Whether the Bridge of Khazad-dûm, Goats Gruff, Jon Orr, or perhaps most memorable to me, a standoff between brothers, Benedict and Brand, fans of speculative fiction have tread many bridges and with Shadow Bridge, Gregory Frost brings to us a world made of bridges, bringing a literal walkways to the figurative that exists all around us..." Full review here. Drew Karpyshyn’s Darth Bane: Rule of Two is up two spots to number 12 in its second week on the list. United States, Europe, Canada. Terry Goodkind’s Confessor maintains its position at number 17 for the second week in a row and its eighth overall. United States, Europe, Canada. 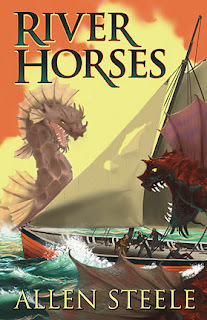 Anne and Todd McCaffrey’s Dragon Harper rounds out its second week on the charts down four to number 27. United States, Europe, Canada. Patricia Briggs’ Iron Kissed rockets up nine points to the top spot on the list at the end of its second week. This author might be worth checking out. United States, Europe, Canada. The mass-market paperback of Richard Matheson’s I Am Legend loses its hold on the second position and slips one to number 3 in week ten. United States, Europe, Canada. Meanwhile the trade paperback of Richard Matheson’s I Am Legend is steady at number 6 for the fourth week in a row and the eighth overall. United States, Europe, Canada. Holy Smokes! Cormac McCarthy’s The Road, finishing its 18th week on the list, also finishes its 40th week on the combined paperback bestseller list. The book popped back up two spots to number 7. United States, Europe, Canada. Max Brooks’ World War Z is back down six points in week 10 to number 18. United States, Europe, Canada. Carrie Vaughn’s Kitty and the Silver Bullet climbs three marks to number 20 in its second week on the charts. United States, Europe, Canada. P.L. Elrod’s My Big Fat Supernatural Honeymoon anthology featuring horror and urban fantasy makes its debut on the list at number 33. United States, Europe, Canada. Dan Simmon’s The Terror also makes its debut on the paperback bestseller list at the very bottom, number 35. United States, Europe, Canada. A three-way collaboration between George R.R. 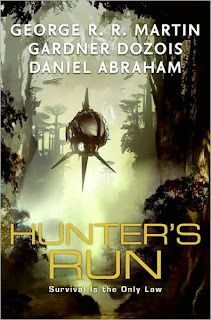 Martin, Gardner Dozois, and Daniel Abraham, Hunter’s Run tells the tale of Ramon Espejo. Ramon is a prospector on the colony world Sao Paulo who is always searching for the big strike. He happens to kill an important figure in a bar fight and flees to the outback to escape justice, however, out there he encounters a strange alien race who force him to be used for their own purposes. In the process, Ramon will discover truths about himself as well as prove what it means to be alive and what it means to be human. This book was released last September in the UK and is now finally available here in the States. An absolute must for any Martin fan. You can read my original review here. Drew Karpyshyn’s Darth Bane: Rule of Two makes its debut bestseller list at number 2 on the New York Times bestseller list. United States, Europe, Canada. Terry Goodkind’s Confessor maintains its previous position at number 17 in its seventh week on the charts. United States, Europe, Canada. New book Anne and Todd McCaffrey’s Dragon Harper also makes it debut on the list and grabs spot number 23. United States, Europe, Canada. J.R.R. Tolkien’s Children of Hurin rounds out its second fifth week on the charts down seven to number 30. United States, Europe, Canada. R.A. Salvatore’s The Orc King is down one point to number 32 in its second week of its second appearance on the list. United States, Europe, Canada. The mass-market paperback of Richard Matheson’s I Am Legend is steady for the third week in a row at number 2 and its ninth week overall. United States, Europe, Canada. Would you know it? The paperback Richard Matheson’s I Am Legend also maintains its position at number 6 for third week and its seventh overall. United States, Europe, Canada. Cormac McCarthy’s The Road is now into its 39th week on the charts, down two to number 9. Will it make it for a 40th straight week? United States, Europe, Canada. Patricia Briggs’ Iron Kissed is yet another new book that makes it debut on the list week at number 10. United States, Europe, Canada. Max Brooks’ World War Z jumps up another seven spots to stop at number 12 at the end of week nine. United States, Europe, Canada. Aaron Allston’s Fury slips to number 22, down two in its fourth week. United States, Europe, Canada. The fourth debut this week is Carrie Vaughn’s Kitty and the Silver Bullet at number 23 on the list. United States, Europe, Canada. Gregory Maguire’s Wicked has a wicked drop of thirteen points to number 26 in its tenth week. Will it manage to hold on? United States, Europe, Canada. Orson Scott Card’s Empire, rounding out its third week, comes in at number 27 and down two. United States, Europe, Canada. Wow, fourteen titles on the list this week! The speculative fiction genre certainly seems to be well if sales figures on any indication. A novella set between Coyote Rising and Coyote Frontier, The River Horses chronicles the journey of Marie Montero and Lars Thompson after they have been exiled from Coyote’s main colony. They are joined by the savant Manuel Castro on an expedition of exploration into Coyote’s frontier. They find many things on their journey including their own place on the still uncharted world. The novella is touted as a story of exploration like the original Coyote novel, however, there is very little actual exploration involved. Part of the charm of the first book is that it combined the experiences of a brand new world with the changes in the people exploring it. While the short story certainly has plenty of the latter is has very little of the former. Even character-wise, it doesn’t add anything new the story then was already known. It’s a well-written story, albeit a disappointing one. Happy Year everyone! Well this year saw the debut of this blog four months ago and I have to say it's been a lot of fun so far. I haven't really done much beyond reviews, bestsellers, new releases and the occasional news bit, but I hope to change that this year. Hoping to try doing a little more and also trying to make what I'm already doing a little better. One step toward that is finally coming up a formal rating system. I rate books on a scale from 0 to 10. I include half of a point when I feel a book deserves somewhat higher than the base rating. Special note: rating system is modified off one used by Racebannon of The Human Race. 0 : zero is so low I wouldn’t use the pages for toilet paper. 1 : is about as bad as it gets without being zero. 3 : is a bad book or was simply the victim of terrible editing. 5 : has one or two redeeming qualities that someone somewhere might possibly like. 6 : a little below average, has several positive qualities, but nothing I'd ever re-read again. 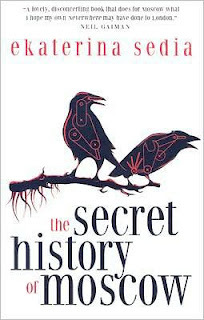 7 : a decent book or a good one with some flaws, one I would recommend to people and that I might re-read in time. 8 : a very good book something that any serious fan of the genre should put on their to-read list. Must be very well written, enjoyable, or be in some way a groundbreaking work. 10 : as good as it gets. I don't give out 10s too often. Note that the ratings are entirely subjective, though I do try to be objective and take into account the level of writing or the quality of the ideas. Ultimately, the rating will depend on whether I enjoyed it, on my “gut feeling”. You may notice that I don’t give out lots of low scores. I am fairly picky about the books I read so I usually only read the books that I think I will like or find interesting. If I don’t like a book I stop reading it. Consequently, I will almost never give out zeroes. Also note that in putting some actual thought to the reasoning behind the numbers, I realized that I had been blurring some of the levels in the mid-upper range. Ratings will be considered far more carefully and future books may be given a different value than comparable books were given previously.